NEW ALBUM WITH ART LANDE & STEVE SWALLOW - BUY HERE!!! "10 Best Jazz Albums of 2013"
WNYC Studios one afternoon in February 2012. Recorded in an old school manner without overdubs and corrections, McGinnis and his 9-piece band recorded two multi-movement featuring McGinnis as the clarinet soloist. The first is Bill Smith’s dynamic “Concerto for Clarinet & Combo”. Composed in 1956, it was recorded by Shelly Manne and featuring Bill Smith whom McGinnis had the honor of consulting with in learning the piece. Secondly is McGinns’ own “Road*Trip for Clarinet & 9 Players” which was composed as a companion piece to Smith’s. Both pieces feature McGinnis’ compositional improvisations and a first call band comprised of some of his longest standing and favorite musical colleagues. With cover design and an illustrated insert by Stockholm/Brooklyn-based painter/poet MuKha, the Angsudden Song Cycle is the culmination of over a decade of multi-disciplinary collaboration between McGinnis and MuKha. What began as a series of poems written in the disappearing language of a small tribe in the Philippines about the Swedish archipelago of Ängsudden, resulted in Mukha creating a painting to accompany each poem. Upon exposure to these words and images, McGinnis was inspired to create a composition that was different from anything he’d ever written. Recorded at the internationally renowned studio, Systems Two in Brooklyn, NY, it features vocalist Kyoko Kitamura and an all wooden ensemble featuring many of creative music’s most innovative voices. ✭✭✭✭ 1/2 - McGinnis takes an exhilarating clarinet solo…and you want to jump and shout when it’s over. "The respected local reed player calls Bill Smith’s “Concerto for Clarinet and Combo” a roller coaster ride, and the new update of this overlooked classic for mid-sized ensemble does get its kicks from enjoying the twists and turns. Bet this stuff starts to really sizzle on stage." 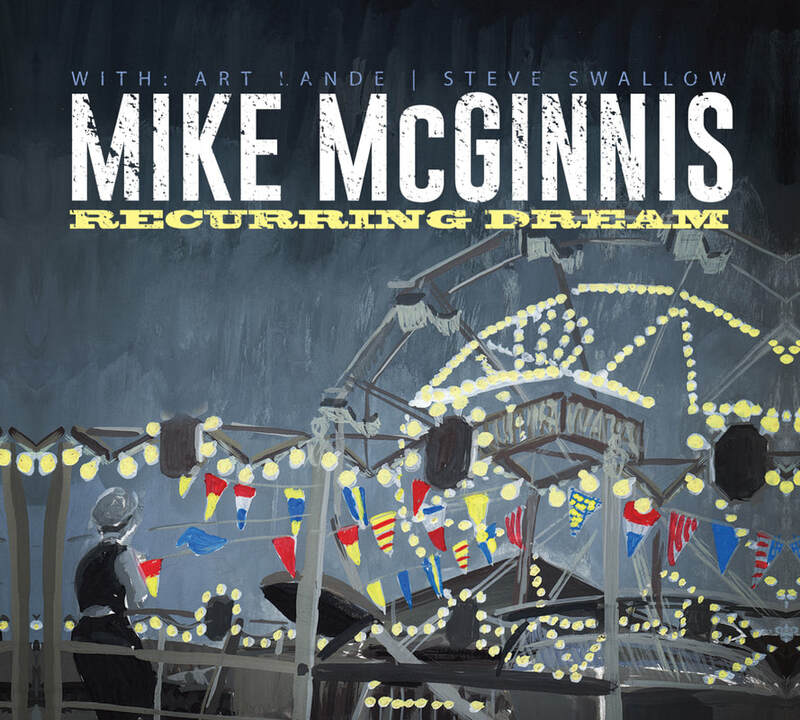 "The saxophone playing is deep, but Mike McGinnis has made clarinet his signature horn -- never more so than on his dual new releases Ängsudden Song Cycle (482 Music) andRoad*Trip (RKM)"
"The perspicacious clarinetist and composer Mike McGinnis recently released “Road*Trip,” a beautifully realized album of music ..."
"McGinnis is confidently behind the steering wheel for these two very different releases, maturely navigating through disparate climes on his way to turning his music into art." places himself firmly within a strong tradition of anti-traditionalists. He can swing in the straight-ahead tradition or improvise on the furthest edge of the avant-garde, bringing the same deep commitment and personal vision to every musical situation.